Features: Simple Asian beauty. Pretty light coins symbolize good fortune. 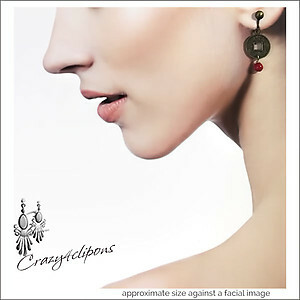 These coins are simply complimented with a dangling red coral-colored round bead for a simple yet very festive style. 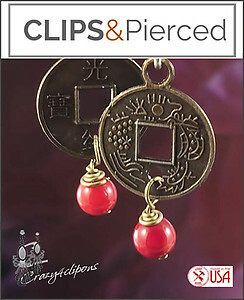 Really nice and a great gift for Chinese New Year!